I visited the Central Museum Indore, India, earlier this week. 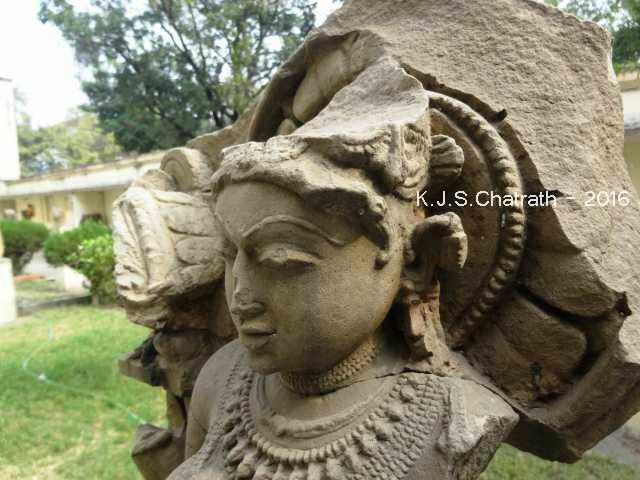 One of the most stunning sculptures I noticed in the compound was of Goddess Parvati. 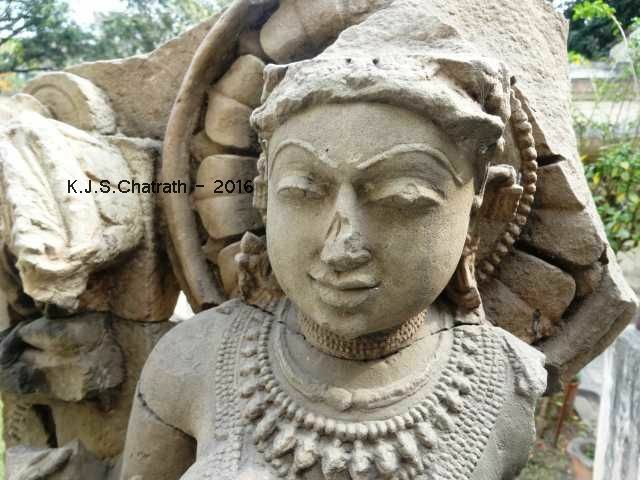 Though partly broken, it shows the amazing talent and devotion with which the craftsman chiseled it out of a piece of stone. 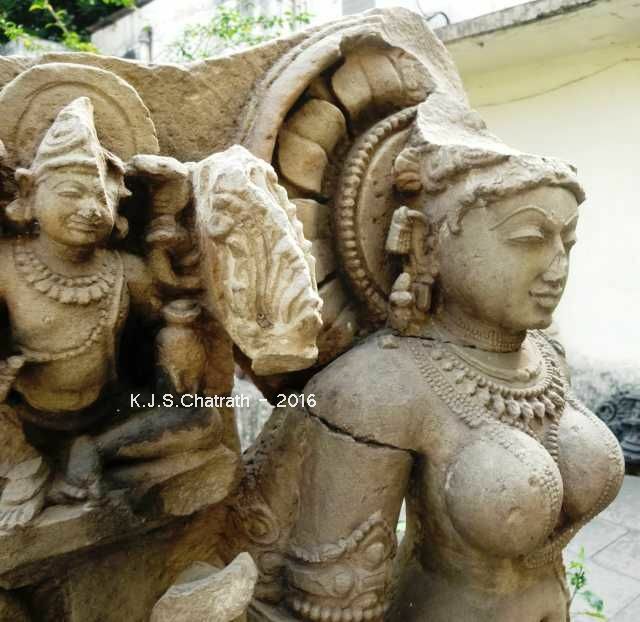 The information tablet put up by the Museum informs that it is the statue of Goddess Parvati, circa 12th century A.D., belonging to Hingalajgarh, in Madhya Pradesh, India. Goddess Parvati is the Hindu goddess of love, fertility and devotion. She is the gentle and nurturing aspect of the Hindu goddess Shakti. 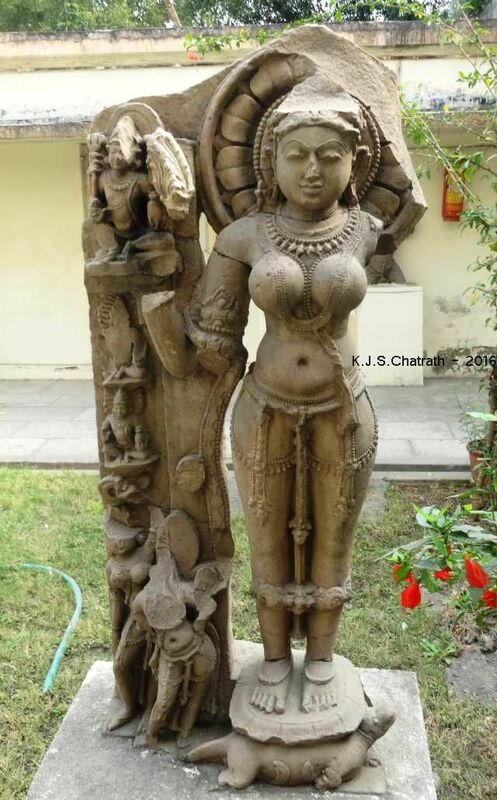 She is the mother goddess in Hinduism and has many attributes and aspects. Each of her aspects is expressed with a different name, giving her over 100 names. Along with Goddess Lakshmi (goddess of wealth and prosperity) and Goddess Saraswati (goddess of knowledge and learning), she forms the trinity of Hindu goddesses. Parvati is the wife of the Hindu deity Shiva - the destroyer, recycler and regenerator of universe and all life. She is the daughter of the mountain king Himavan and mother Mena. Parvati is the mother of Hindu deities Ganesha and Karttikeya. Her elder sister is the goddess Ganga (Ganges). This Museum is located near the General Post Office in Indore.There are two galleries in the Museum.The artefacts exhibited in the museum range from the prehistoric to the modern era. It was established in 1929.